The InsulRoof from Bondor takes the traditional Australian corrugated roof a few notches higher by combining roofing, insulation and ceiling solutions in one stylish, durable panel for homes and patios. InsulRoof by Bondor is an ingenious combination of Colorbond steel roofing, high performance insulation and a prefinished ceiling in one durable panel that doesn’t require any painting. InsulRoof offers outstanding cooling performance. 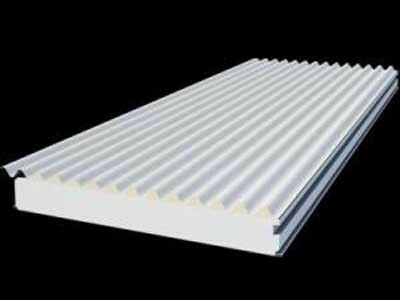 Bondor general manager Geoff Marsdon explains that InsulRoof offers the proven functionality of Bondor’s bestselling SolarSpan roofing products in a profile inspired by corrugated iron, a building material synonymous with Australian roofscapes since the 1800s. According to Marsdon, Bondor is focused on innovation in all areas of roofing for the commercial and residential markets. Their latest product, InsulRoof offers architects, builders, roofers and homeowners even greater choice in terms of attractive roof designs and faster outcomes, with high performance materials. Available Australia-wide from Bondor, InsulRoof provides long unsupported spans of up to seven metres, and is fast to install, strong and durable, low maintenance and cost-effective. InsulRoof is also available in a wide range of colours and comes with a 10-year Australian manufacturer’s warranty.